(JTA) — The umbrella group of French Jewish communities condemned 20 theaters that plan to host the overtly anti-Semitic one-man show of comedian Dieudonne M’bala M’bala. “CRIF deplores the many theaters that chose to offer him a podium to disseminate to an instrumentalized audience his hatred of Jews and of those who dare criticize him,” CRIF said in a statement about the six-month tour, which is due to begin on Dec. 27 at the Zenith Nantes Metropole, one of the largest event halls in western France. 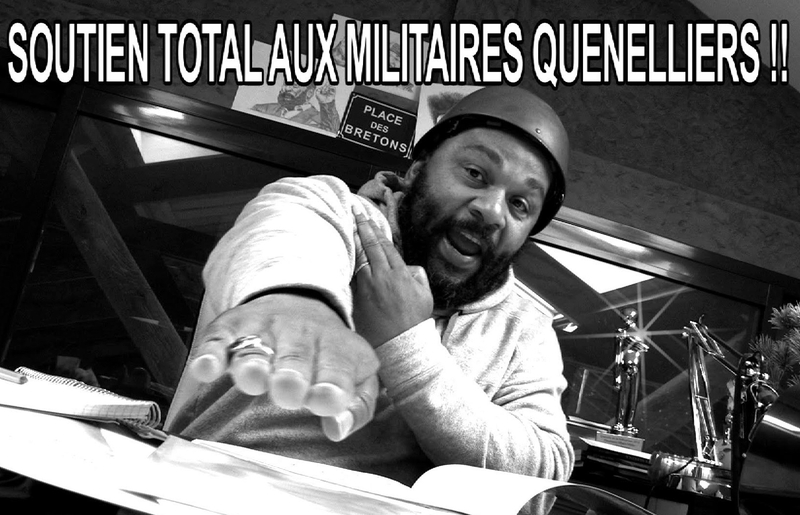 Dieudonne is the inventor of the quenelle gesture, which echoes the Hitler salute and has become a preferred greeting in anti-Semitic circles across the French-speaking world, but which Dieudonne says is a gesture of discontent with the establishment. He wrote “The Impure Beast” after many French mayors banned his previous tour in their municipalities at the request of then-interior minister Manuel Vals, who is now France’s prime minister.